Sell faster than traditional UK property auctions, sell for higher prices and with zero fees! All the benefits of fast auction sales without the upfront fees, providing a higher price for your property and an account manager actively making sure we get you the best price for your property for the whole duration of the sale! Most property sellers believe that their only choice is a traditional auction-room when they need a quick, certain sale. But are traditional auction-rooms really the best option when it comes to selling your property? Why Use National Residential Vs Traditional Auctions? Why wait 2-3 months to sell your property at a traditional auction when you can sell far quicker in less than 28 days? 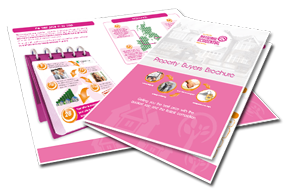 Why pay £1000´s upfront for auction entry fees and legal packs when you can sell your property for free without these costs? Why sell your property for a low price of 70% market value to traditional auction buyers when you can sell for a much higher price – 100% market value? We advertise our services and our properties online with all the major property portals, off line with local estate agents and in both national and regional newspapers so lots of people will have chance to bid on your property. We sell your property for 100% of its market value. We don’t sell property by setting a low asking price – instead, we set a low starting price to generate lots of interest. We sell houses, flats and bungalows FAST. ZERO Risk – Free Legal Packs! This is a no risk option. No sale = NO FEE. We list with all major property portals & the best local estate agents – every investor and local buyer will see your property. Our Competitive pricing strategy attracts alot of interest quickly and our time limits encourage buyers to convert that interest into bids. The SMART way to sell. We utilise smart technology so buyers can bid online 24 hours a day from their PC, tablet and smart phone. We needed to sell our home fast due to difficult personal circumstances – I was worried about losing money at an auction but estate agents just aren’t fast enough. I contacted National Residential and in just under 7 days I’d agreed on an offer and the money was in my bank! 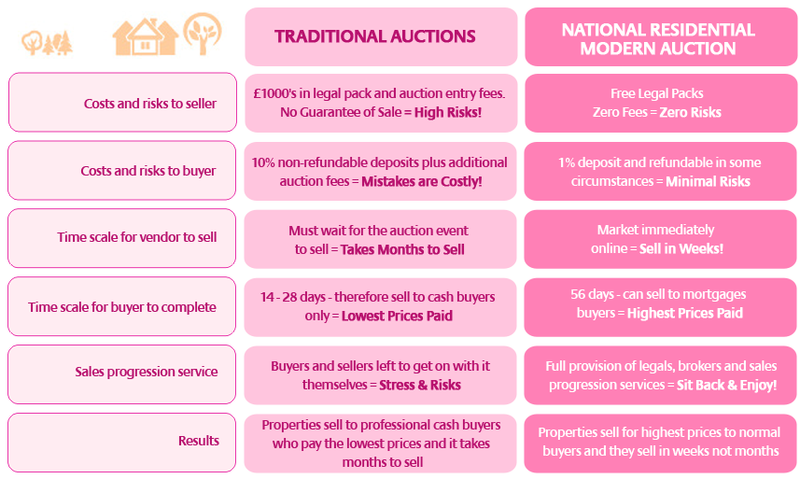 How our Modern Auctions and Traditional Auction compare?